Since 2000 we've represented BIG KAISER Precision Tooling Inc. in Northern California and Northern Nevada. They are a worldwide leader in the development and manufacture of precision boring tools and modular #CNC boring systems of unmatched quality based in Hoffman Estates, IL. BIG KAISER Precision Tooling Inc. was originally established as the U.S. subsidiary of Heinz Kaiser AG, Rümlang, Switzerland in the spring of 1990. For several years, KPT/Kaiser had offered BIG-Plus® KAB tool shanks and other BIG tooling components, manufactured in Japan by BIG Daishowa Seiki. Now, BIG Kaiser Precision Tooling, Inc. has expanded its BIG Daishowa product line with new tooling, the new FULLCUT MILL indexable insert milling cutters, and other products for the new generation of MTC milling turn centers. BIG Daishowa Seiki, is one of the world’s leading producers of precision tool holders and measuring accessories, it operates four manufacturing facilities in Japan, one in Osaka and three in Awaji. The company was established in 1967 and now employs more than 500. ​Heinz Kaiser AG (HKAG) celebrated its 66th anniversary in 2014, and is Europe's leading producer of precision boring tools and modular tool systems. HKAG and its subsidiaries serve manufacturing communities in the global market of more than 30 countries. The quick change Unilock zero point clamping chuck system can reduce machine set up time by up to 90% while increasing accuracy and repeatability to greatly improve your overall efficiency. The UNILOCK system is easily adapted to existing pallets, fixtures and workpieces. 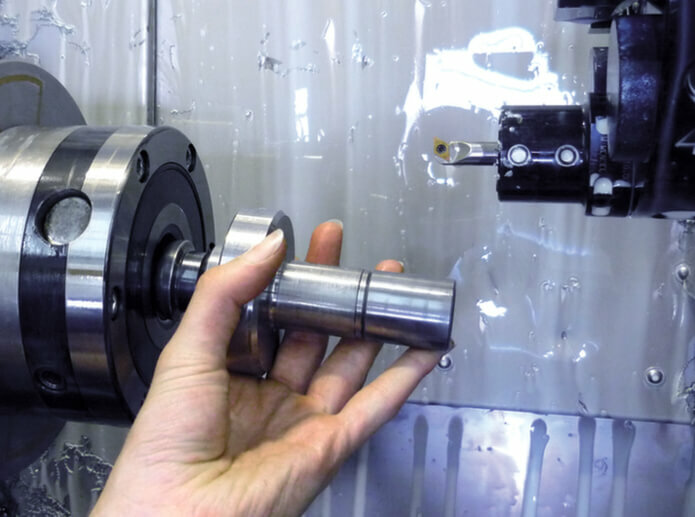 Clamping chucks on every machine tool increases quality and throughput with repeatability of 0.0002" or better with quick, accurate changeovers. Each UNILOCK chuck was developed for a specific application, to be used efficiently for different requirements. Our many years of experience in zero-point clamping and our enthusiasm for clamping technology in general, are visible in our products. The UNILOCK family was designed compatible since its beginning and was always developed further as a system. The powerful, stable UNILOCK Clamping knob is the central element of this product range and has evolved over the years to become a standard in the zero-point clamping technology. UNILOCK is a media-free, self-locking clamping system with a very high power absorbing contact area ratio. The conical pull-down of the short cone is self-centering and supports an easy moving-in. 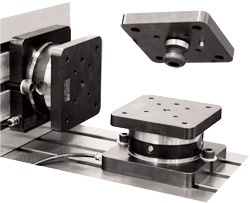 A play-free, power-closed centering as well as a repeatability of <0.003mm by use under perfect conditions is caractarizing this Zero-point clamping system. A big advantage in comparison with various competition products are the perfect form-locking and a retention force of 50'000N (static) by fixation with an M12 Clamping screw. In addition to all actual Clamping chucks our development department also creates your special clamping- or device solution. Our engineering know-how in this part is world wide appreciated and enquired. "The benefits of 5-axis machines are greatest when workholding is based on the size and shape of the workpiece instead of the limitations of the table interface. By providing multiple workholding opportunities, Unilock users quickly integrate most workholding products and keep their machine spindles up and running." "To be competitive in today's market, all machines need efficient workpiece handling. Efficient part loading systems are always included in the acquisition of high-volume manufacturing cells but all too often getting fixtures on and off the CNC milling machine is forgotten. In today's market, time is money." "Have you seen the Big Kaiser UniLock? It's a great modular workholding system for quick changeover and quick location. We're finding that alot of our customers who are using it are telling us that it's been a real time saver for workpiece set-up and changeover especially in the short delivery small lot size repeat jobs." Follow Next Generation Tooling's board Big Kaiser on Pinterest.